Bringing you years of experience on the beautiful Oregon Coast selling homes and land by the ocean, bay, lake, river, or stream. 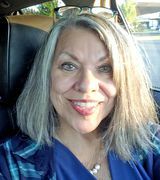 From Oceanside North to Manzanita including Rockaway Beach, and from Netarts South to Neskowin including Pacific City, Pam can help you find or market your home by the water. Scroll down to view my current FEATURED LISTINGS or view all my listings under THE BEACH tab above.